I don't know if you are as shocked as I am that we have officially closed the 1st Quarter of 2016. We are just about mid-month into April and many have taxes on their mind. Is a move this next year beneficial for tax savings? Homeowners who chose to sell their Portola Hills home in this last quarter saw significant price gains. Below is a look at the entire area along with the gains split out for attached and detached homes. Comparing 2016 vs 2015 the number of sales was down slightly with 23 sold in 2015 and 21 sold in 2016. The median sales price in Portola Hills is up about 15% from 2015. The lowest priced home sold so far in 2016 was $429,000 and the highest priced home sold for $1,050,000. As noted the above data is for the entire Portola Hills Real Estate market. Below are some quick notes on the market split out by type. Attached Homes: It is has been quiet on the Condo/Townhome front this year with only 7 homes sold vs. 10 in 2016. The median price of Portola Hills Condo Market is up 18% from this time last year. Detached Homes: The number of homes is up slightly in 2016 with 14 homes sold vs 12 in 2015. 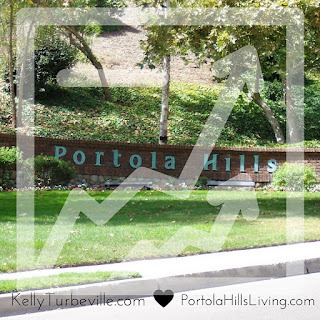 The median price of Portola Hills Single Family home is up 7% with the price per square foot up 10%. Inventory of homes did jump up slightly this past week with 10 active properties in Portola Hills. If inventory continues to increase this will stabilize price gains. It will be interesting to see how The Oaks development will effect higher end homes in the area. If I was thinking of selling my estate home, I wouldn't want to compete against beautiful new homes... Buyers will be looking at the new amenities and comparing to your home. So unless your home is just as beautiful it may get overlooked.. Now is a great time to take advantage of the increase in pricing before these new homes come on the market in Portola Hills. If you are thinking of selling your Portola Hills home and wondering the value of your home, we have made it simple. Simply request your FREE Home Value Report will be emailed to you.